Just a quick one tonight as the Windows update trickles through the painfully slow 33.6kbps modem connection, dial-up minutes ticking away, just like the old days. Back at home to have a look at what's wrong with the printer and decided to stay for the night, a matter of convenience as Jim is meeting me here early tomorrow. My old room still seems familiar as ever, though it has definitely changed quite a bit since the last time I called it home. A lady from work was having troubles with her computer, so she asked me over after work on the chance that I might be able to fix it. It's kind of strange, but for some reason I always get nervous when asked to look at something that's wrong with someone else's computer and seem to build up the problem in my head, before actually taking a look at what's wrong, only to find that there's never really too much of a problem at all. Perhaps I assume that if it's such a problem that they need someone else's help then it really must be bad. Hmm, the download is still going, so I guess I'll keep going as well. The Crocodile Hunter: Collision Course was on TV tonight, which caught my attention for a bit. 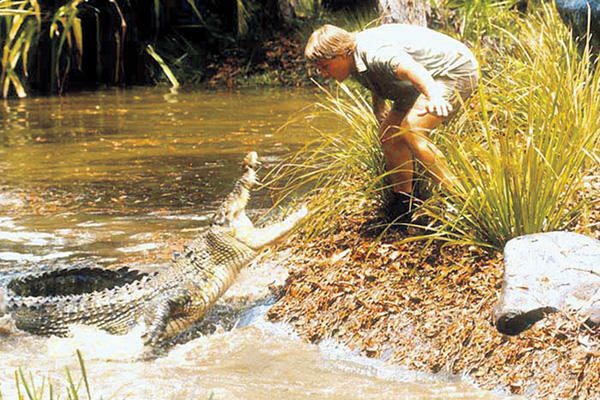 Steve Irwin's enthusiasm with toxic, venomous, ferocious, deadly and dangerous animals, picking them up, poking them with sticks and just generally stirring them, while at the same time telling everyone what not to do, really cracks me up sometimes. There's just the issue of the film's acting and story, but by crikey who needs those anyway when you have a giant croc trying to eat a guy in shorts. No problem at all. I could watch him for days. Love the three As = animals, accent, adventure. Sigh. No kangaroos in the backyard, we have to specially put on a Croc Hunter accent to sound Australian, and I'm sitting here typing away at the computer.